On Saturday morning I was out on the East Pond of Jamaica Bay with Carlos and Anthony enjoying a mid-September search for shorebirds. We had walked up the east side of the pond almost to the north end and then back almost to the south end when we ran into Steve, who pointed out a one-eyed Baird’s Sandpiper to us. We watched the bird for awhile as it foraged and though the injury was painful to contemplate for we humans the bird seemed to be getting by alright. I was reminded of the American Redstart I saw foraging in New Jersey several years ago and hoped that this bird would prove as resilient as I had observed that redstart to be. On its good side you could hardly tell the bird was missing an eye. 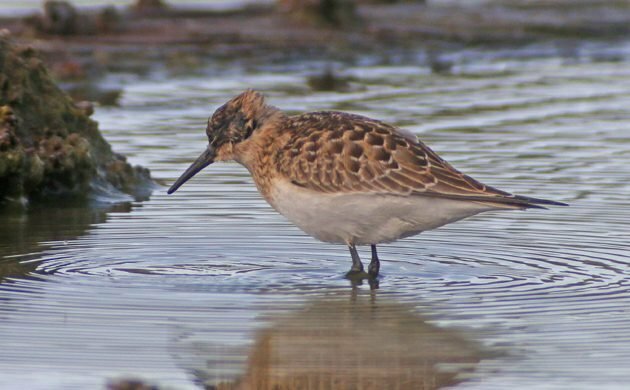 Sadly, the sandpiper was not to survive long. Several hours after we saw it and reported it to the listserv other birders saw the bird attacked by not one but two Peregrine Falcons. One strafed it and caused it to flush and the second grabbed it in the air and then dropped the now dead Baird’s Sandpiper which the first falcon swooped back for and grabbed just before it hit the ground. From a symbol (to me) of resilience to a falcon’s plaything in a few hours. Of course, injured animals have a very difficult time making it in the wild. This is why predators are generally unwilling to attack anything that has a chance at all. After all, what good is getting a kill if in doing the killing the predator is injured? Predators go for the young or the old, the weak or the sick. 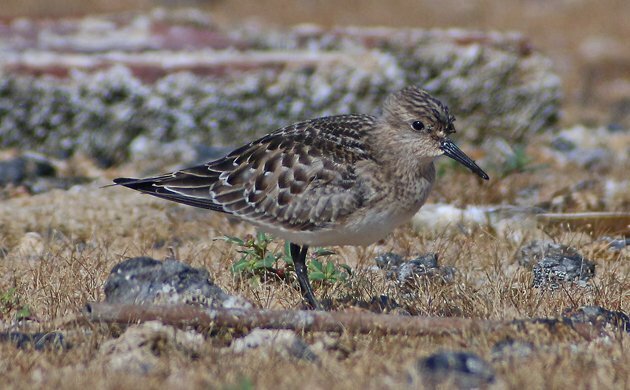 And, sadly for the sandpiper and for those who feel empathy for a beautiful young shorebird born on the tundra within the last few months, this Baird’s Sandpiper was injured in a such a way that it was left vulnerable. It will never make it to the Paramo in the high Andes for winter nor return to the tundra to breed. Survival of the fittest isn’t a pleasant process to witness but it is marvelously efficient. This bird will not use resources on the wintering grounds nor take up a breeding territory on the tundra. Instead, another bird that managed to not get injured will use those resources and pass on its genes. That is how it is and how it should be. But I still wish this little bird had made it. 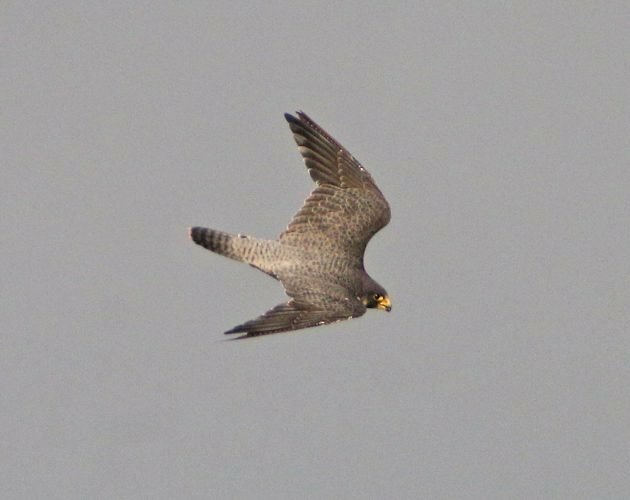 Peregrine Falcons are excellent at culling the weak.